Pure Vida truly is a way of life here in Costa Rica, and the results of the Happy Planet Index report, published by the New Economics Foundation (NEF), prove just that. 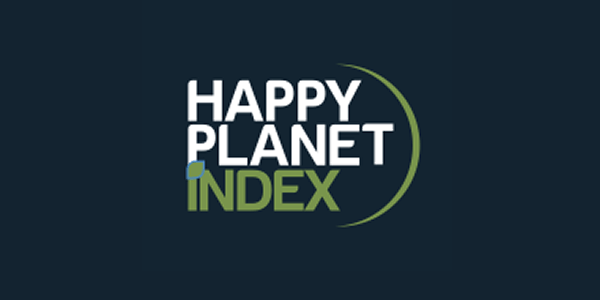 Unlike other happiness index reports, the Happy Planet Index report moves away from strictly economic measures of happiness, which produces some surprising results. To get their index, the NEF ranks countries by how much happiness they get from the amount of environmental resources used. Costa Rica gets 99% of its electricity from renewable sources so its population uses a fraction of the resources used by other countries in the West. This factor alone is what put Costa Rica at the top of the heap. Rounding out the top three are Mexico in 2nd place and Columbia in 3rd. Not surprising, the U.S. is all the way down the list at 108. For this particular happiness index report, a country’s ranking is determined by measuring the population’s happiness in relation to the wellbeing, life expectancy, and social inequality and then dividing it by its ecological footprint. Costa Rica is known for having a strong healthcare and educational system, contributing to the overall wellbeing of its people. According to the NEF report, six out of the top 10 happiest countries are in Latin America, which many may find surprising, given the sluggish economies and the accusations of governmental corruption of a number of them. Saamah Abdallah, Senior Wellbeing Researcher at the New Economics Foundation, said: “The Happy Planet Index provides a compass to guide nations towards genuine progress, and shows that it is possible to live good lives without costing the Earth. Watch this video about The Happy Planet Index, and at minute 8:30 the focus is on Costa Rica.